Sydney is a beautiful, vibrant city and one of the best ports in Australia. 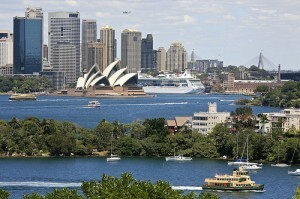 With such a vast range of cruise ships departing from Sydney daily, it is hard to choose only the 3 best cruises. The most popular destinations visited from Sydney are the South Pacific, New Zealand and the Australian coastline. Whether you are an international visitor, or call Australia home, a cruise is one of the best ways to experience all that Australia and its neighbours have to offer. Cruising options are endless, with durations varying in length from 1 day right through to several months, offering both budget options and luxury cruises. Whether you are looking for a slice of Australia, a tropical escape or an across the seas journey, check out three of the best cruises leaving Sydney next year, for a holiday you’ll never forget. Whether you live in Australia, or travelling the world, this 16 night cruise provides one of the best ways to see this beautiful country. Departing from Sydney, you will cruise the entire top end of Australia, visiting Airlie Beach, Darwin, Bali, Port Hedland and Geraldton, before arriving at your final destination in Perth, Western Australia. Not only will you visit 6 beautiful Australian destinations, but you will also have an international experience, with a stopover in spectacular Bali. One of the most popular Sydney cruises, Pacific Treasures takes you on an unforgettable journey through the breathtaking South Pacific. Leave your troubles behind, as you spent 10 nights aboard a luxury cruise ship, with numerous stopovers in New Caledonia and Vanuatu. Enjoy the on board entertainment whilst cruising the seas and then indulge yourself in the island lifestyle while you enjoy a few cocktails at one of the local bars. Cruise along the open ocean aboard the Diamond Princess, one of the most magnificent vessels among the fleet from Princess Cruises. During this 12 night cruise you will visit Melbourne, Hobart, Dunedin and New Zealand, with your final stop being the beautiful city of Auckland. Possibly the most magnificent way to make your journey to New Zealand, cruising will provide you with a once in a lifetime experience that will not be easily forgotten. Leave the bustling city of Sydney behind, as you prepare yourself for a relaxing 12 day journey across the glistening Tasman Sea. Cruises are a brilliant way to experience Australia, with all main meals and on board entertainment included in your travel price making them an affordable, yet luxurious holiday. Whether you are looking for the perfect island getaway, a visit to our closest neighbours or simply the Australian adventure of a lifetime, cruising from Sydney is bound to leave you with an unforgettable holiday experience. When you think about taking a vacation, the first thing that would come to mind is finding the best vacation destination to spend your holiday. One of the best vacation spots in Fiji is the magnificent and beautiful Navala Village. This place is not a high traffic tourist destination because it is an undiscovered haven in Fiji. The Navala Village has a lot of surprises to offer to its visitors. Aside from its scenic beauty, the weather is great all year round. It is a tropical destination that stays warm from November to April, and its cold season begins in May and ends in October with an average temperature of 22 degree Celsius, or 72 degrees Fahrenheit. Even at that temperature, the cold season isn’t really cold at all! 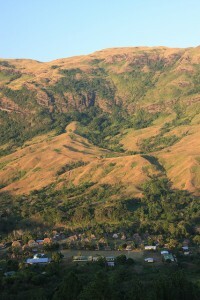 If you are going on Fiji holidays, then Navala Village should be on your list of places to visit. It takes just about 50 minutes of traveling up to the highlands to reach Navala Village, where you will find a hidden haven teeming with local culture. You will see stunning homes that are all made from traditional materials. Each house is usually just one single open-space room. Its walls are made from woven bamboo and its roof is made of thatches. Visitors can attend the Yaqona ceremony, which is basically their simple way of welcoming guests. Guests can drink the Yaqona tree drink mix, which is called Kava. Although the taste isn’t that great, this drink was very relaxing. One of the best features of the village is the bure huts. This is a wood and straw hut that looks very similar to a cabin. Due to the advent of modern technology, you will seldom find a house that is not made of concrete, wood, plastic, or metal materials in your own country. But in Navala Village, you will be delighted to know that the villagers are able to preserve their customs by making homes out of materials that are gathered on the island. Though these homes are made from lightweight materials, the sleeping experience in this one-room hut is still very comfortable. Just being able to sleep in a hut is quite the experience. Today, around 200 of the bure huts are standing in the village and local traditions say that a new bure is added every time a new couple is married. It doesn’t cost much to reach the village, so this is a budget option for Fiji travelers. The sceneries are simply breathtaking, and you can walk around the village and meet the locals. Traditional cruise experiences include all the fun Fijian options with the addition of a private island stopover. Blue Lagoon Cruises owns Nanuya Lai Lai, an island in the Yasawas. Its beaches stretch out to azure blue ocean waters. Passengers are assured a clean and beautiful beach on which to enjoy a traditional Lovo feast cooked in an earth oven. Beach parties continue with singing and dancing on the starlit beach. Blue Lagoon Cruises are designed to fit anyone’s holiday schedule. The Mystic Princess, their flagship, is the only first class ship of its kind in Fiji with unmatched luxury for the discerning traveler. Conscious of passengers’ budget limitations, Blue Lagoon Cruises provides a range of three vessels whose standards and costs vary from 3 to 5 star ratings on cruises lasting from 3 to 7 days. 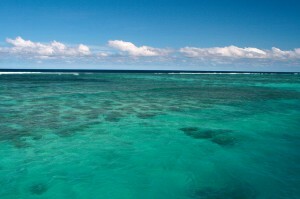 Fiji holidays are transformed into a voyage of discovery with Captain Cook Cruises. The islands’ tropical diversity and beauty are enjoyed by travelers who needn’t choose one resort, but have over 330 islands to discover. Guests can learn to dive, swim in the blue lagoons, snorkel the coral reefs, investigate ancient limestone caves and visit traditional villages, meeting with native hospitality. Northern Fiji Cruises take visitors to experience the natural beauty, culture and history of the garden islands. Two choices are available: Discovery Heritage visits rarely seen islands and reefs, includes the colonial capitalhistoric Levukaand swimming in the Bouma Waterfall or Savusavu’s hot springs; and a Cultural Cruise which circumnavigates Vanua Levu, meeting three different cultural peoples and exploring Labasa markets and town, snorkeling above the Great Sea Reef, traveling the Labasa and Dreketi Rivers, and visiting the Yadua Iguana Sanctuary and manta ray natural hatchery. Timelessness is the watchword on Dravani Island holidays. Nothing reminds the visitor of modern life; time there stopped 1,000 years ago. Spectacular ocean views and the surrounding islands may be seen from the top of the hill. Guests enjoy the 200 locals who demonstrate Fijian hospitality for which they’re famous. When the ship drops anchor in Savusavu the travelers will view a port full of yachts in this essential port o’ call for yachtsmen worldwide. Lush vegetation and tropical rainforests touch the spectacular coastline around Vanua Levu, Fiji’s second largest island. Crystal clear waters off white sand beaches, coral reefs and abundant marine life mesmerize visitors to these island chains. Taking a tour of Denarau Island’s orchid gardens, visiting the sugarcane fields or shopping in town and sampling the restaurants, cafes and bars makes this island a perfect holiday stop for every traveler. These are just three of the cruising companies offering options available for Fiji holidays. Airfare to Greece is affordable although the peak season is approaching. And you can always plan a golfing vacation during the shoulder season, as well. In mid-August, a round trip flight between New York and Athens starts at $1193 per person (on Aeroflot) , while if you are already in Europe, the flights are much cheaper. A round trip flight from London starts at $378 per person for the same person (if you are not choosing a low-cost carrier). There is a golf club close to Athens, so you can easily mix the cultural side of the trip with the golfing one. Choose one of the boutique hotels in Athens , maybe even in the town of Glyfada, where the golf club is located, and make your plans. While you are here, don’t miss visiting the Acropolis of Athens and the new museum located close to it. If time allows, you can plan to take a day trip from Athens. But no matter what you plan to do in Athens, look for a hidden taverna and enjoy the real Greek food. If you are like me, the idea of a romantic escape will have to combine the hustle and bustle of large cities such as Athens, Rome, London, or New York with the laid back atmosphere of a forgotten paradise island. There is something interesting when you switch from a fast paced city to a lazy island retreat. For others, choosing one o the boat trips around the world is an excellent way to plan a romantic getaway. Those who want everything to be booked and handled by others and don’t care much about sightseeing will definitely enjoy such a vacation. 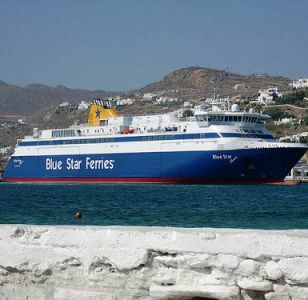 But if you are more adventurous than that, you can start with booking Greek ferry tickets online and then plan to stay on various islands for several days. The ferries link the large, popular islands, with the more secluded ones, so it’s not hard to combine the bustle of Mykonos with the laid back atmosphere of Kalymnos, for example. Do remember thought that many ferries run only during the summer season; typically the number of connections increases right before Easter. And try to avoid traveling in mid-August when everything is fully booked and the prices are at their highest. If your budget allows it, you can also consider renting a yacht for a week or two and enjoy island hopping at your own pace. Both the islands in the Mediterranean and in the Aegean Seas are worth your time and money.